After a rapturous performance at Splendour In The Grass Festival last year, the Kkoks are thrilled to announce their return to Australia in 2013. The band will perform headlining shows in April/May around the national Groovin The Moo Festivals. 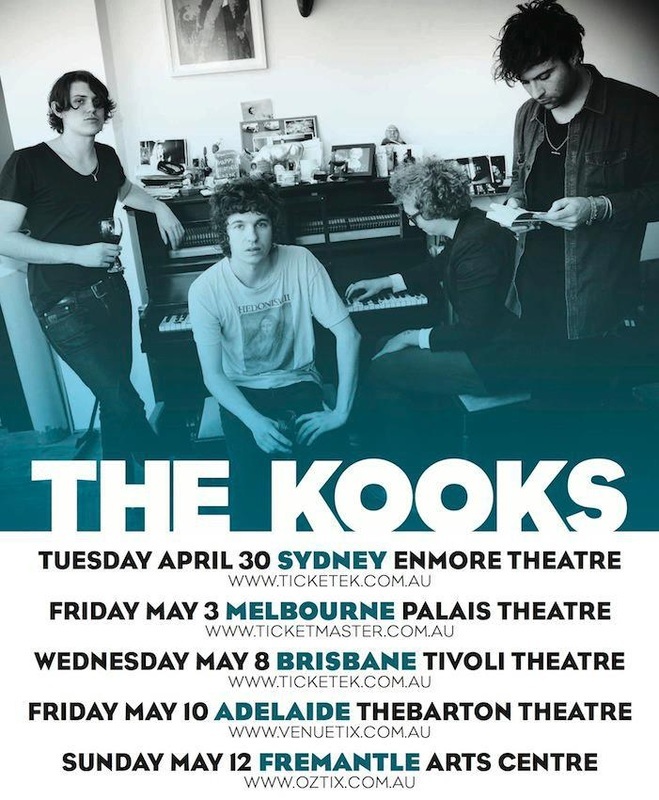 Having sold out two previous Australian tours, including Festival performances at Falls, Southbound and Splendour In The Grass Festivals, The Kooks are eager to return and play to Australian audiences. The Kooks have released three albums Junk Of The Heart, platinum selling Konk and quadruple platinum Inside In/Inside Out, with plenty of sing-a-long hits for concert-goers, tickets will go quick. Due to overwhelming demand, following the huge response from ticket sales last week, an extra Melbourne and Brisbane show have been added. Taking place at Melbourne's Palais Theatre on Wednesday 1st May and the Tivoli in Brisbane on Tuesday 7th May, tickets to the new shows go on sale at 9am today. Tickets for all other shows are already selling incredibly fast, particularly along the East Coast, with Melbourne Palais Theatre selling out completely within 10 minutes of tickets going on sale.